Does kinggeedorah belong in this group? the best country land for people who like to live good ! Does snowcarver belong in this group? Ward - wabsol Hi i am Ward also known as wabsol, i am a guy from Belgium who likes to be creative. I have friends from around the globe that i skype with every day. I have allot of free time so I am working on some projects almost all the time. My motherlanguage is Dutch and i am born in Belgium. Does wabsol belong in this group? 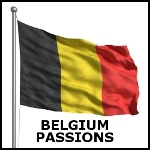 Does belgiumjo belong in this group? Does heleenliefje belong in this group? Does ericangel belong in this group? Does newmember100 belong in this group? Does frenchlifeguard belong in this group? Does linde95 belong in this group? Does pirete5 belong in this group?